Hi there, my lovely readers! 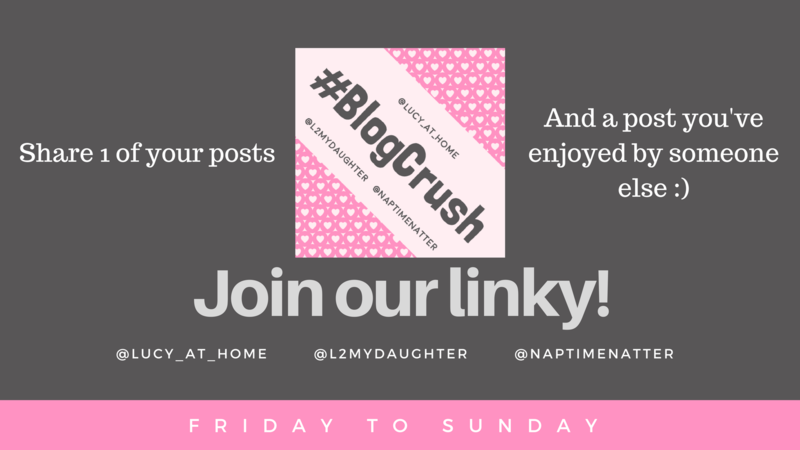 Every week, I co-host a linky called Blog Crush; it’s an opportunity to share some great posts by other bloggers. 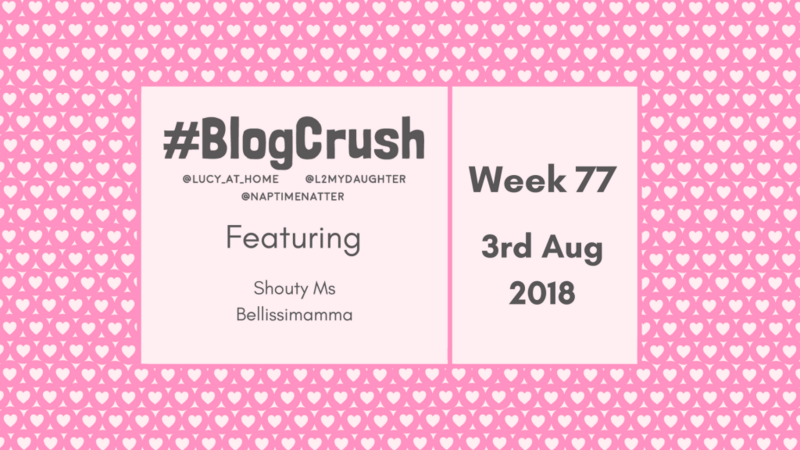 This week is BlogCrush Week 76. (b) about lots of fabulous blog posts you might want to read! Writers can add their posts to the BlogCrush from 6am (BST) Friday until 9pm Sunday but the posts will be here indefinitely so you can always pop back and find your favourites again later. If you’re a blogger who is new to linkies, I’ve written this little beginner’s linky guide to talk you through it. If you’re still confused, though, just message me and I can help you out! The BlogCrush linky is for bloggers who like to support and encourage others. It’s a real feel-good linky, sprinkling happiness all over the blogging world! If you’ve ever read a blog post and thought, “This is fab! More people need to read this” then BlogCrush is the linky for you! We ask our bloggers to add a post of their own AND a post they’ve enjoyed that was written by someone else. Congratulations! Someone must have really liked your post! You don’t have to do anything, but if you would like to display your “I was featured on blogcrush” badge, that would be great. Just copy the code from the text box below and paste it into the HTML / text section of your blog! 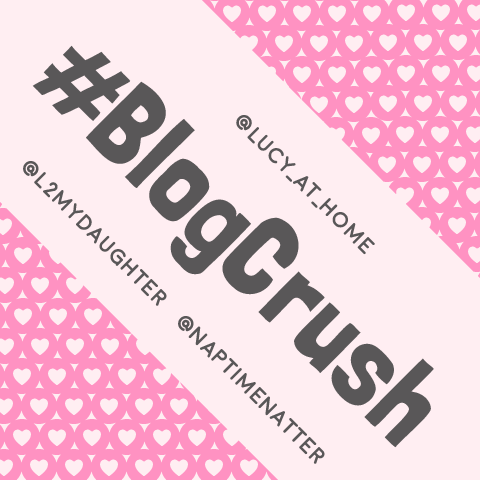 Tweet your BlogCrush (& us) to let them know you’ve added them to the linky and share their link (@lucy_at_home and @naptimenatter). 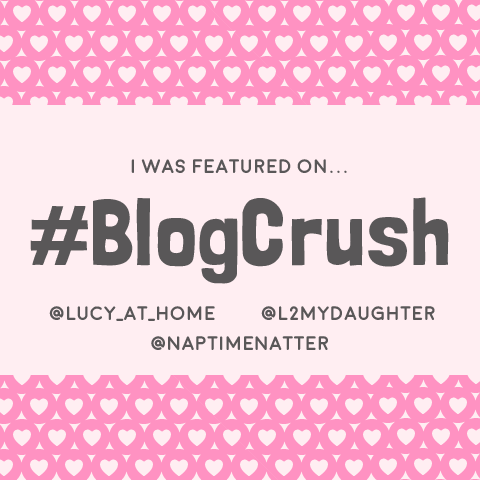 Please tweet us your own BlogCrush posts too so we can share them for you. So that’s a minimum of 4 posts. Add the #BlogCrush badge to the post that you’re linking up from your own blog. You can do this by copying the gobblydygook code in the box below and pasting it into the HTML view of your post. Every link-up, the two BlogCrush hosts choose a brilliant post each from the previous week to be our BlogCrush “host posts” and these are added back into the linky for more views and comments. This is a great way to get some extra exposure for the best posts. My choice last week was a love story, and this week’s is too! (I must be getting soppy in my old age!) But in a world that seems increasingly filled with bad news, it’s nice to have some happy ones. 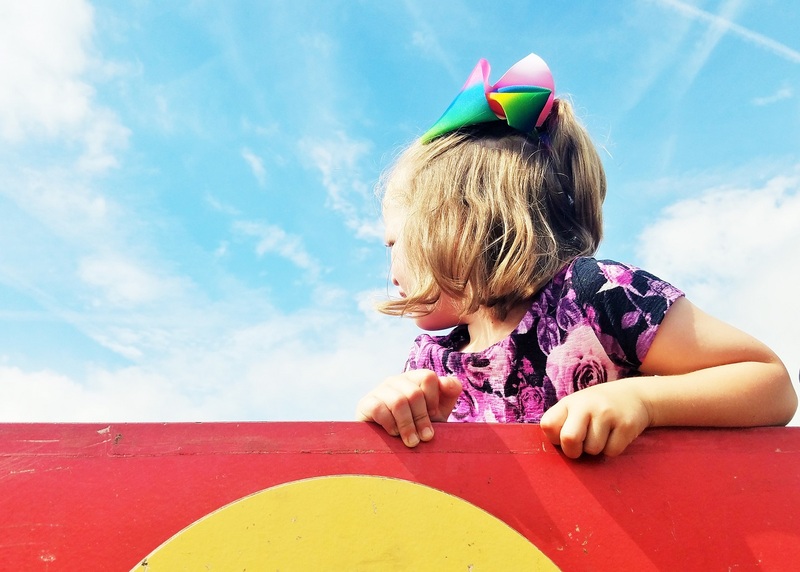 This is a personal post from Bellissimamma about why she married her husband twice, and a look back over their 5 years of marriage. Congratulations – you are both featured blogcrushers for Blogcrush week 77! You are now eligible for the prestigious (!) “I’ve been featured” blog badge, which you can collect from the top of the page. Empathy is being able to imagine how someone else is feeling, and I think it’s so important try and get inside our kids’ heads. It makes understanding their behaviour so much easier! If empathy is something you struggle with, I’ve also added some extra tips on how to become empathetic when it doesn’t come naturally. Massive thanks for featuring my post! Hello and happy to be a part of this linky again! My BC is a long time coming. IDK why I didn’t crush Cassie’s blog sooner.